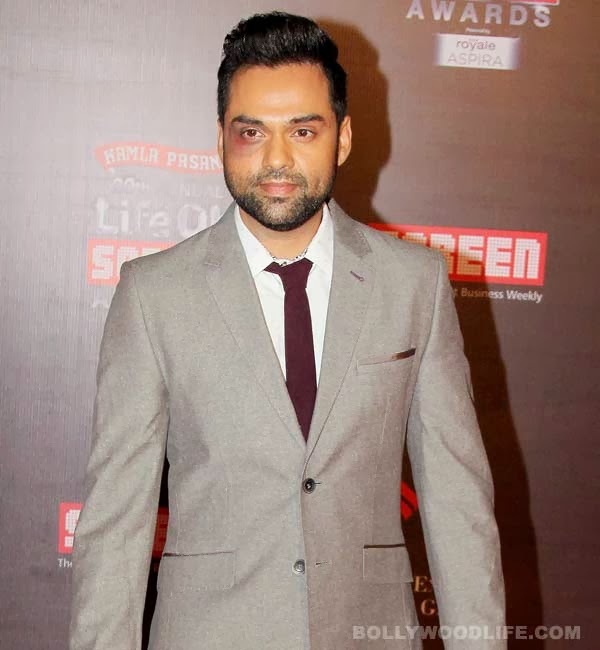 Latest Bollywood Videos: Was Abhay Deol assaulted by T-series? The actor’s black eye at Screen Awards grabbed eyeballs and headlines. And here’s why and how he got the black eye It’s T-series owner Bhushan Kumar up against Shankar Ehsaan Loy, the music directors of Abhay Deol’s forthcoming film, One by Two. There’s a war brewing between them as the artists want a share in royalty from the music label. And though One by Two’s music hasn’t been released, Abhay has chosen sides. The actor was spotted with a black eye when he joined the Screen awards with his girlfriend Preeti Desai. Obviously, everyone wanted to know what happened. Well, Abhay wasn’t actually beaten up by anyone but he was sporting the black eye as a symbol of protest. The actor posted on a social networking site, “So last night I went to the Screen Awards sporting a black eye. It was my way of saying visually (and symbolically) that my film’s ¬marketing has taken a hit (from music labels).” Phew! We’re glad that Abhay wasn’t actually punched in the eye by someone. And we’re proud that the actor speaks up his opinion unafraid of the circumstances. Way to go, Abhay!